Enjoying its World Premiere at the 2018 Toronto International Film Festival, Rosie is the latest from acclaimed Irish director Paddy Breathnach tells the story of the Davis family, who—after being ousted from their apartment by new land developers—find themselves homeless and in search of a permanent home. Ireland’s prodigal son, Roddy Doyle (The Commitments, A Star Called Henry) penned the script and it’s true to his raw, unabashed form of storytelling. But in depicting the life of young family struggling to make it work in the modern age, Doyle manages to tell a very sentimental and sweet story as well. 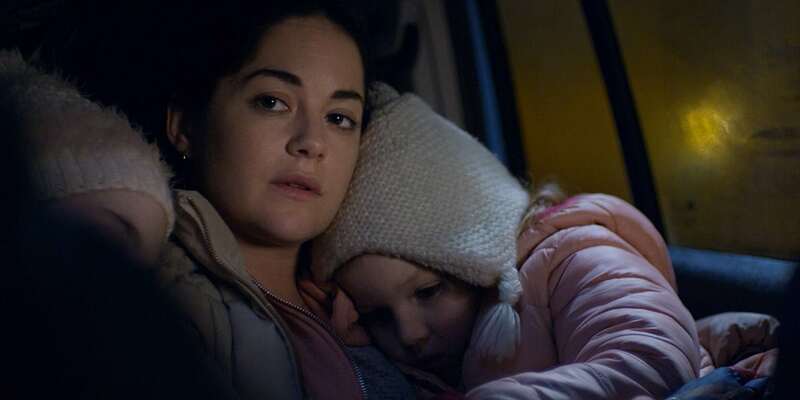 Actress Sarah Greene is the anchor for everything in the film—narrative and otherwise—as the titular Rosie Davis. There’s an eternal optimism that she exudes that feels honest, as a mother struggling to stay positive for her four kids would be. The dialogue between her and her husband John-Paul (played with roguish determinism by Moe Dunford) feels measured and caring, if not exhausted. The child actors are also great here, which caught me off guard. Because so much of Rosie centres around the two parents finding shelter for their children, it really succeeds or fails on the child performances, reminding me of last years Florida Project. Greene spends most of her time on the phone, calling various hotels in search of a room even if only for the night. There’s a great line in the film ruminating on the cyclical nature of the family’s problem. Essentially pointing to the fact that Rosie’s so tired of finding a room even for the night they can never get a head start on an apartment. It’s also a film that deals with the ever relevant Irish class divide, as evidence when John-Paul visits an open house only to leave dejected after suggested it wasn’t a good home for kids (it most certainly was). Breathnach and Doyle navigate these waters well, with the most of the work between them dealing with various takes on life in Ireland from the late 70s onward. The camera work from cinematographer Cathal Watters is also a highlight of the film, tight close ups and steady handycam work further that sense of authenticity generated by the script. The way the lack of sound is woven into small pauses in conversation, makes everything feel heavy and thick, as much from the mixing and sound design as Doyle’s structure. At times heartbreaking and soul-affirming, Rosie will have you hugging whoever you decide to watch it with. Appreciation for family sits at the foundation of Rosie as a film, and it’s a message when given in an talented and honest way, never gets old.